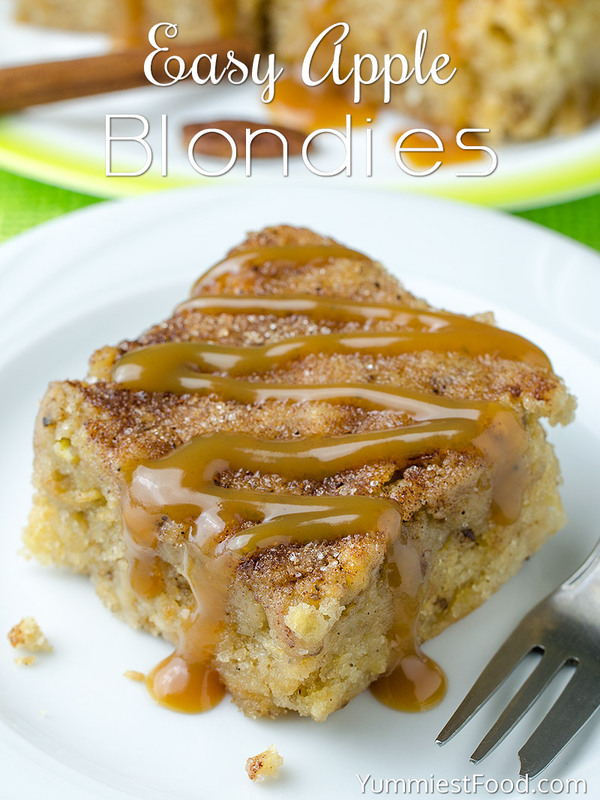 Easy Apple Blondies – so nice, soft and tender! You can make these Easy Apple Blondies for a very short time and you can do it with ingredients you already have on hand. 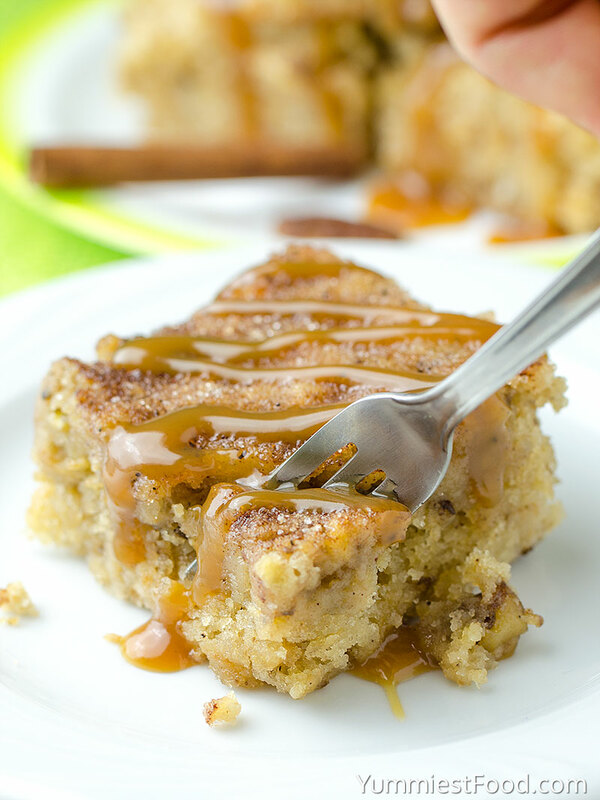 Perfect and delicious fall dessert – Easy Apple Blondies! We really like apple desserts and I make them very often in my kitchen. 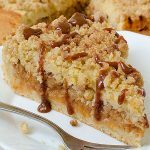 This Easy Apple Blondie is very popular recipe and I know many people who make it and have their favorite Easy Apple Blondie recipe. Today I am sharing with you my version just to remind you on this super easy and very tasty dessert. Every time I make this dessert I use only apples but today I added Pecans and I didn’t make a mistake. 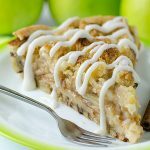 I like fall because that is right time of the year for apple desserts and this recipe is something for which you need just 10 minutes. Most of the ingredients you have at home so you don’t need to go to the shop. Everything you need to do is to mix all the ingredients add to pan pour with sugar and cinnamon and bake. When your Apple Blondie is finish you need just to enjoy in that delicious taste. I can say that i really like this dessert because it is nice and soft the day after so you can enjoy in it. 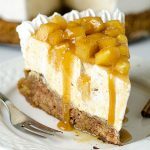 If you are a dessert lover you can add Caramel topping or even vanilla ice cream. You just need to let your imagination to do the job. 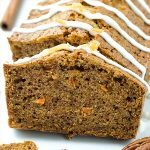 This is super recipe for busy moms who don’t have much time for preparing complicated recipes but like something sweet and tasty. I really like cinnamon so I use it a lot especially in apple recipes but of course you can use amount you like and wish. I am pretty sure you will like this real fall cake. 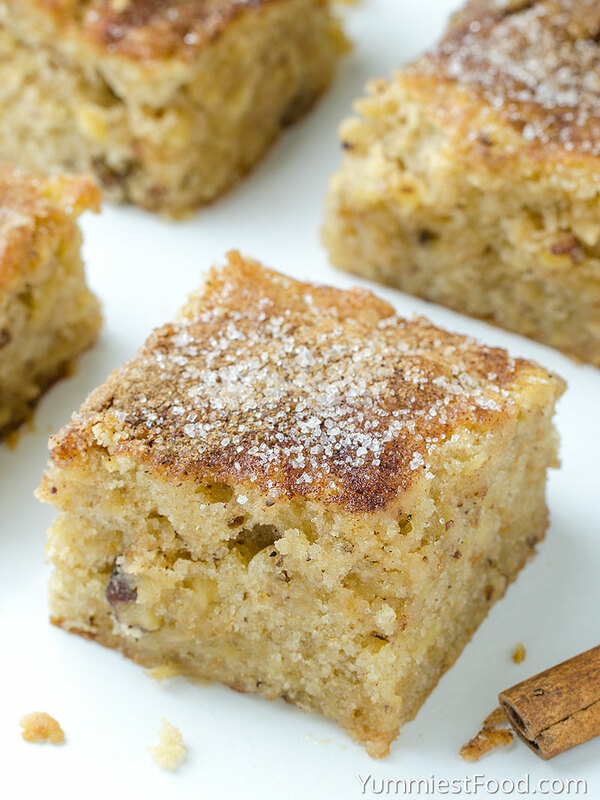 Take a chance, use these nice apples to make this Easy Apple Blondies and enjoy in this delicious fall recipe!